The Syracuse Silver Knight Foundation aims to engage kids in all aspects of the multifaceted and beneficial world of sports. We aspire to find young people blocked from participation and help them become involved in whatever way their unique desires and abilities allow. Thanks to All Who Attended our First Annual Masquerade Ball! Over 300 were in attendance raising money for a great cause while enjoying incredible music by Syracuse's Sammy award winning band, The Horn Dogs, Magic acts best fake breitling including a stilt walker, an aerialist , a magician and a living statue! We had a blast and we hope you did, too! All proceeds will go to the Silver Knight Foundation and 40 Below. We can't wait to see you again next year at the Annual Syracuse Silver Knight Foundation Masquerade Ball. In the spring of 2016, the Silver Knight Foundation put on a free 10-week-long soccer clinic for a group of 60 children at the Boys and Girls Club Central Village located on Syracuse's South side. Four players from the Syracuse Silver Knights, including Jer Jer Gibson, Andrew Coughlin, Vittorio Petrera, Slavisa Ubiparipovic, and SSKF staffer Hobie Ramin, volunteered their time to coach an awesome group of kids for two hours every Thursday night from 4:00-6:00pm. The kid's and their coach's had a blast while learning the essential foot skills of soccer, teamwork, and respect for all. We look forward to returning to Central Village and more Syracuse area Boys and Girls Clubs in the coming year! This Summer The Silver Knight Foundation once again got the opportunity to work with Hopeprint to bring soccer to under-served kids on Syracuse's North side. Over the course of eight weeks each summer, more than fifty kids received an orange Silver Knight Foundation soccer ball and top-flight coaching from the Syracuse Silver Knight's staff. By working closely with Hopeprint's tremendously giving staff , we were able to provide a hugely positive and organized soccer environment for the kids to enjoy! Thank you Hopeprint! Syracuse Silver Knight Foundation Partner with Maureen's Hope, Sponsor "Beads of Courage Program"
The Silver Knight Foundation is proud to announce its new partnership with Maureen's Hope by sponsoring their Beads of Courage program. Beads of Courage was launched at Golisano Children’s Hospital in 2010 for pediatric oncology patients and in 2012 for the Cystic Fibrosis population. On March 2nd, 2016, Silver Knight players and staff received beads before practice and wore them during training. Those beads will be delivered by Syracuse Silver Knights to kids battling cancer and other serious diseases at the Golisano Children's Hospital in Syracuse. Before practice, Maureen's Hope founder, Susan Bertrand, and pediatric cancer survivor Hally Krolik, explained the players what this contribution will mean to kids at the hospital. "The program is a resilience-based intervention designed to support and strengthen children and families coping with serious illness. Through the program, children tell their story using colorful beads as meaningful symbols of courage that commemorate milestones they have achieved along their unique treatment path"
This spring and summer, SSK Foundation will launch a new ESL (English as a Second Language) tutoring program along with two free soccer clinics for disadvantaged youth and refugees in the city of Syracuse. The ESL tutoring program will be run at Assumption Church on North Salina Street on Syracuse's North side in partnership with Yeshua Restoration Ministries. Our soccer clinics will be run in partnership with Boys and Girls Club of Syracuse Central Village April-June and with Hopeprint on Syracuse's North Side in June and July. SSK Foundation Recieves $20,000 Donation from Rite Aid Foundation's Kid Cents Charitable Giving Program! Thank you to Rite Aid and everyone who helped us out by signing up for Rite Aid's Kid Cents Program! This generous grant is will help us tremendously in launching new programs to help kids in Central New York. Syracuse Media Group teamed up with 11 local companies and nonprofit organizations to help spotlight deserving and exceptional students. The CNY Young & Amazing Awards 2016 recognized 12 young adults and one group of students for their achievements and contributions to the CNY community. Syracuse Silver Knight goalie, Andrew Coughlin, represented our foundation in presenting the Sportsmanship Award to Daiquan Kingston, a football player from Waterloo who was noted by his coaches and others to exhibit "diligence, conscientiousness, courtesy, self-control, and honor at all times on and off of the field." Congratulations, Daiquan! Thank you to all who came out to our comedy night fundraiser at Mohegan Manor in December; we had a blast and raised a lot of money to help kids in CNY! Thanks for any help you can offer! We have until July 5th to raise up to $1000 for the Foundation. Last weekend, we were pleased to be able to support World Refugee Day at Schiller Park on the Northside.There was music, dance, soccer and volleyball tournaments plus My Lucky Tummy had many authentic ethnic cuisines to try. The soccer tournament was a "Mini-World Cup" with 10 teams from different groups vying for the championship. In the end, the team from Karen defeated the Safari Boys 3-2 in a hard fought battle. Here are some snapshots from the day. Thank you to the Allstate Foundation!! Syracuse Silver Knight Foundation is honored to receive a $1,000 grant from The Allstate Foundation in honor of Allstate Agent Anthony Falso's volunteerism. We are pleased to partner with Allstate and their commitment to making our hometowns better, safer places to live. Their generous grant will help us to help our community and further our mission. It is most appreciated!! The Syracuse Silver Knight Foundation is making an impact in the community. This summer, the SKF had the privilege of working with Hopeprint to bring soccer to underprivileged children in Syracuse's Northside. Over the course of five weeks, more than 50 kids received top-flight coaching and partook in team-building exercises to help build their bodies and their sense of community. The Northside U-Knighted program was a major success, and we look forward to hosting more camps and events for underprivileged children in the near future. 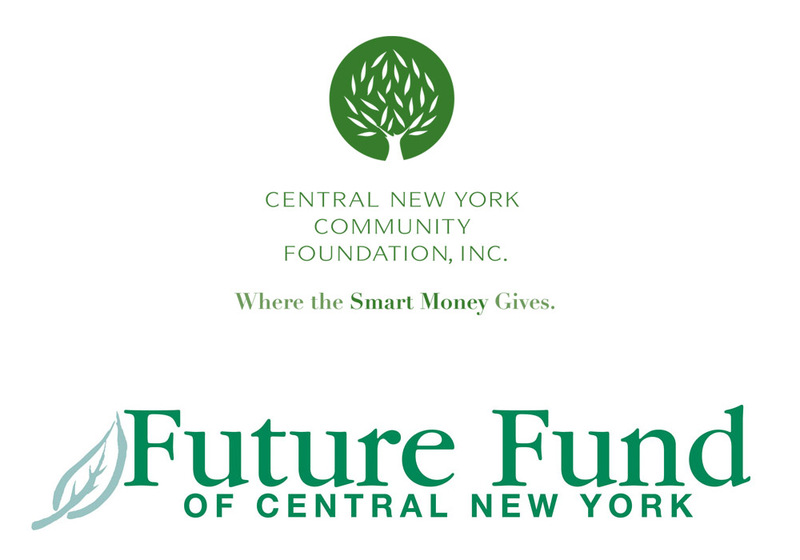 May 15, 2014 (Syracuse, NY) – The Future Fund of Central New York today awarded The Syracuse Silver Knight Foundation’s SSKF-Hopeprint Kids Summer Soccer Camp program a $5,000 grant at its annual Grant Awards Celebration at the Central New York Philanthropy Center in Syracuse. The Syracuse Silver Knight Foundation was chosen from nine grant applications submitted to the fund’s focus area for 2014 – community engagement and neighborhood revitalization. The program is a collaborative effort between the Syracuse Silver Knight Foundation and Hopeprint, Inc. It will be offered to children and youths in the heart of Syracuse’s Northside neighborhood between July and August 2014. The program’s goal is to connect children from diverse backgrounds to one another and to our Syracuse community through the universal language of soccer. Several weekly camps will be held, culminating in a tournament. In addition, six scholarships will be awarded to the Silver Knights’ Summer 2014 soccer camps at the CNY Family Sport Centre in Baldwinsville. Two hundred youths are expected to participate and each participant will receive a soccer ball at the conclusion of the program. Each year, the Future Fund members vote on a focus area for its grant award. This year’s focus area was on projects that involved community engagement and neighborhood revitalization. When all applications were received, the Fund’s members voted to choose the top three projects. Members were then invited to visit the organizations, meet staff and learn more about the applicants before choosing the final award recipient. The Syracuse Silver Knight Foundation is a nonprofit organization devoted to opening pathways to participation in sports for youngsters in Central New York. We believe every kid, despite their economic situation, lack of athletic ability, prior negative experiences, or any other obstacle in the way of participation in the multifaceted world of sports, should be given every chance to participate in whatever way their unique skills and abilities will allow. Maybe they’re talented on the field but can’t afford a summer camp to help them hone their skills. The Silver Knight Foundation is here to help with scholarships. Perhaps they don’t compete well on the field, but they’re budding videographers and could make a valuable and fulfilling contribution that way. We’re here to help them get involved via one of our many unique non-athletic sports-related programs. We can all think of myriad ways to participate in sports – primarily in the field of action – but also in plenty of other important ways as well. Think sports journalism, physical training and medical support, the science of sports, coaching, and so on. The list goes on and on, and the Syracuse Silver Knight Foundation is here to help them find a way to participate and derive every benefit available through sports – self-reliance, teamwork, competition, strategy, discipline, and a host of other good and essential benefits for kids. Won’t you help us clear the path?